- Rep. Ed Royce, (R) California; Financial Services Cmte. As I wrote yesterday, Democrats are obsessed with repealing the Bush tax cuts, especially the upper-end. They could use a 12-step program and a Higher Power. President Obama, after signing an extension of the Bush tax cuts last December, relapsed once again at his news conference today. It was the usual bashing of millionaires and billionaires, oil companies, corporate jets (made by Cessna and Hawker-Beechcraft), and investment funds. But basically his message today was class-warfare, soak-the-rich. Somehow, Democrats are for your kids but Republicans are for your fat cats. It’s so tiresome. It will never sell. Here's a question: Why is repealing the Bush tax cuts such a constant obsession for the Democratic Party? Especially the top rates for the most successful earners and small business entrepreneurs? It seems this is the Democratic answer for every single issue, every problem, every debate. This, of course, saddens me enormously. And so, always ready to help, I am recommending a 12-Step program to help them overcome their anger, resentment, and obsession over the Bush tax cuts. Democrats really need a Higher Power on this. First, when tax rates were lowered across-the-board in mid-2003, the incentive effect kicked in to jump-start the economy immediately. Over the next four and a half years, before the financial meltdown slammed the economy-- and that was a credit event, not a fiscal one—8.2 million jobs were created. Jobs essentially rose for about fifty consecutive months. Non-farm payrolls rose from just under 130 million to just over 138 million. Don’t believe me? You can look it up. This sort of job creation is exactly what President Obama would love to see happen now. And, while jobs rose, the government took in more revenues. As a share of GDP, revenues rose from 16.2 percent to 18.5 percent. Simply put, supply-side tax cuts were the single best economic policy President Bush implemented. Elsewhere, President Bush overspent and overregulated. And yes, the dollar collapsed on his watch. And from Fannie Mae to the Federal Reserve, the housing bubble was born. But the tax cuts? They worked. And that's my point. TURMOIL IN ATHENS: WHAT NEXT? FREE MARKET MATTERS ... WHY ARE DEMOCRATS OBSESSED WITH REPEALING THE BUSH TAX CUTS? Rising Senate star Marco Rubio of Florida put out a strong growth message in our interview last night. Shrink size of government, broad-based flat tax reform, roll back regulations. Balanced budget amendment, with tough spending caps. Best solution for an ailing middle class: Create jobs. He believes the 21st century can be an American century if we follow this path. There are few people more articulate than the gifted Sen. Rubio. been a while, Senator, thank you. Senator MARCO RUBIO: Yeah, thank you. Thanks for having me. mean by that and what's he signaling in terms of these debt talks? I think that's very bad news for our future. KUDLOW: I mean, he has his high-speed trains. He's got his infrastructure. part of this debt ceiling? still wouldn't make a dent on the debt. have. And we need pro-growth strategies. We have to grow this economy. There's not enough focus on the growth element of this. compromise package. Does that work for you? growth, which has to be our number one priority. know this. Oil prices, gasoline prices. is the Republican message to the middle class? I think--I am for reforms that save Medicare and keep it solvent. but the middle class will share in that. children and provide them opportunities they themselves didn't have. KUDLOW: What will it take to get you to vote for a debt ceiling compromise? opportunity to deal with the issues that confront our nations economically. So I want some sort of regulatory reform. I want some sort of tax reform. what we have an opportunity to build here. American--the 21st century will also be the American century. that we can solve these problems? much for joining us on THE KUDLOW REPORT. KUDLOW: All right, great stuff. Here's the latest mini-documentary from my old friend Dan Mitchell over at the Cato Institute. ONE-ON-ONE WITH MARCO RUBIO … INSIDE THE DEBT CELING DEBATES; HOW TO GET A COMPROMISE? ONE-ON-ONE WITH PETER THIEL … A HIGHER EDUCATION BUBBLE? PAYING STUDENTS TO DROP OUT? ALSO … HAS TECH PROGRESS STALLED? WHAT HAPPENED TO INNOVATION? A NATURAL GAS HATCHET JOB BY THE NEW YORK TIMES? - CNBC’s Steve Liesman reports. UNEMPLOYMENT COMPENSATION & OVER-SPENDING A BARRIER TO GROWTH? Did the IEA Just Deliver a QE3 Quick Fix? 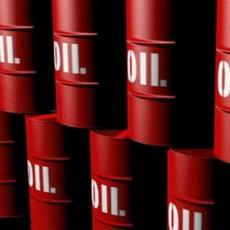 Did the International Energy Agency (IEA) just deliver the oil equivalent of QE3? The decision to release two million barrels per day of emergency oil reserves -- with the U.S. covering half from its strategic petroleum reserve -- is surely aimed at the sputtering economies of the U.S. and Europe following an onslaught of bad economic statistics and forecasts. This includes a gloomy Fed forecast that Ben Bernanke unveiled less than 24 hours before the energy news hit the tape. I wonder if all this was coordinated. The Bernanke Fed significantly downgraded its economic projections, blaming this forecast on rising energy (and food) prices as well as Japanese-disaster-related supply shocks. Of course, the Fed head takes no blame for his cheap-dollar QE2 pump-priming, which was an important source of the prior jump in energy and commodity prices. That commodity-price shock inflicted a tax on the whole economy, and it looks to be responsible for the 2 percent first-half growth rate and the near 4.5 percent inflation rate. Bernanke acknowledged the inflation problem, but he didn’t take ownership of that either. Reading between the lines, however, the Fed’s inflation worries undoubtedly kept it from applying more faux stimulus to the sagging economy with a third round of quantitative easing. Somehow the new Fed forecast suggests that the second-half economy will grow at 3.5 percent while it miraculously presses inflation down to 1.4 percent. But the plausibility of this forecast is low. It’s almost Alice in Wonderland-like. So, low and behold, the IEA and the U.S. Department of Energy come to the rescue. Acting on the surprising news of a 60 million barrel-per-day crude-oil release from strategic reserves scheduled for July, traders slammed down prices by $5 to $6 for both West Texas crude and European Brent crude. That’s about a 20 percent drop from the April highs, which followed the breakout of civil war in Libya in March. In fact, both the IEA and the U.S. DOE cited Libyan oil disruption as a reason for injecting reserves. Of course, most folks thought Saudi Arabia would be adding a million barrels a day to cover the Libyan shortfall. The evidence strongly suggests they have. So the curious timing of the oil-reserve release -- coming in late June rather than last March or April -- strongly suggests that governments are manipulating the oil price with a temporary supply add to boost the economy. In theory, these reserves are supposed to be held for true national emergencies. 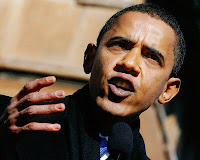 But the real U.S. national emergency seems to be a political one -- that is, President Obama’s increasingly perilous reelection bid amidst high unemployment and the second-worst post-recession economic recovery since 1950. Tall joblessness, big gasoline prices, low growth, a poor housing sector, growing mortgage foreclosures, and sinking polls are probably the real reason for the strategic-petroleum-reserve shock. European Central Bank head Jean Claude Trichet warns of a “Code Red” emergency due to Greek and other peripheral default risk. China has registered its lowest manufacturing read in 11 months. U.S. jobless claims increased again. And the U.S. debt-ceiling talks have broken down. It’s almost a perfect storm for economic and stock market jitters. So, will the government-sponsored oil-price-drop work? Will it fix the economy, by lowering inflation and speeding up growth? Well, it might, provided that the Bernanke Fed doesn’t bungle the dollar. If Bernanke keeps his balance sheet stable, applying what former Fed governor Wayne Angell calls quantitative neutrality, it’s quite possible that the greenback will rise and oil and commodity prices will slip. In fact, ever since Bernanke’s first press conference in late April, when he basically said “no QE3,” the dollar had been stabilizing with oil prices slipping lower. Bernanke is right to hold off on QE3; we could all be surprised with a stronger dollar. Then we could lower tax, spending, regulatory, trade, and immigration barriers to growth. If we did that, we wouldn’t need another short-run, so-called government fix, this time from the strategic petroleum reserve. Lord save us from short-run government fixes. Haven’t we had enough of them? WHO LEAKED? DID GOVT OFFICIALS LEAK? WAS LEAK TRADED ON? IS IEA RELEASE QUASI QE3? IS THIS BERNANKE'S DREAM - LOWER OIL TO BOOST ECONOMY? - CNBC’s Mandy Drury reports. - CNBC’s John Harwood reports. DEBT TALKS FALL APART OVER TAXES: ARE WE GOING TO DEFAULT SOONER THAN GREECE? A UNITED POST OFFICE SERVICE BAILOUT? - CNBC’s Michelle Caruso-Cabrera reports. WHAT HAPPENS NEXT IN GREECE? - Rep. Ron Paul, (R) Texas discusses. - CNBC’s Michelle Caruso-Cabrera joins us live from Athens. WHAT CAN WE EXPECT TO HAPPEN NEXT IN GREECE? -CNBC chief Washington correspondent John Harwood joins us from Washington. DOES THE U.S. NEED 5% INFLATION?! WHAT ARE WE LEARNING FROM THE GREEK SPECTACLE WITH OUR DEBT TALKS? - CNBC’s Kaori Enjoji joins us from Tokyo. After the dreadful NLRB lawsuit against Boeing’s freedom to choose -- which is part of the war against business coming out of Washington -- today’s Wal-Mart decision is welcome relief. REPATRIATION & CORPORTATE TAXES: COULD CUTTING CORP. TAXES ON OVERSEAS PROFITS BE THE ULTIMATE STIMULUS PLAN FOR U.S. ECONOMY? Coming up this Wednesday, the Fed's Policy Committee will meet and Fed head Ben Bernanke will host his second public press conference. 2. There will be no QE3. In other words, send a clear signal to financial markets that the central bank is moving away from quantitative easing to quantitative neutral. Why am I so keen on this? Because I think it will bolster the dollar. And that, in turn, will hold down energy and other commodity prices. And that, in turn, could give us a lower inflation rate in the second half of the year. Now that would be bullish for economic growth. What has caused the current economic growth sputter? Principally, exploding oil, gasoline, food, and other commodity prices from a falling dollar caused by too much money created by the Fed. Inflation remains the cruelest tax of all. And it has depressed real consumer incomes and slowed down business. If King Dollar recovers, the sputter could turn into real growth. And bullish stocks will pick this up quickly. In other words, the second half outlook hinges on the dollar. Hopefully the Bernanke Fed will stand behind the greenback. No more money printing. MARKETS: IS THE CORRECTION COMING TO AN END? - Stephen Weiss, Author, "The Billion Dollar Mistake"
MANIC MARKETS... IS GREECE EXPORTING LEHMAN TO US? ; WHAT IF CHINA COMES TO THE RESCUE? -CNBC's Michelle Caruso-Cabrera join us live from Athens. ECONOMIC JITTERS? A 70% TAX? SERIOUSLY? DUELING "REAL RECOVERY SUMMER PLANS"
WHAT ARE THE CHARTS ARE TELLING US? FINDING A FIX FOR GREECE; GREECE CONTAGION? - CNBC’s Simon Hobbs reports. New economic stats today on retail sales from both China and the U.S. show there’s no double-dip recession out there -- no matter what the bears-gone-viral may be telling you. No Armageddon. And no stock market crash either. Actually, today’s 123-point Dow gain to get back over 12,000 is a key sign that the stock correction may be over. Forward earnings at $96 a share on the S&P 500 (1,288) show a price-earnings multiple of about 13.4-times. Trailing earnings of $94 a share show a similar multiple. So stocks have decent value. Stocks also have an attractive 7.25 percent earnings yield, compared to 3.1 percent on 10-year Treasuries and 5.7 percent on investment-grade corporate bonds. I’m not a roaring bull. But I am more positive than I was two months ago when I first started talking correction. The Fed is still accommodative. The yield curve is positively sloped. And the oil-price shock looks to have peaked at around $100. All those are positives. Perhaps as QE2 pump-priming ends in a couple of weeks we will see a somewhat stronger dollar and a weaker oil price. But the good news today is that retail sales in the U.S. came in better than expected. They actually increased slightly, by three-tenths of a percent, excluding the auto sector which has been hard hit by Japanese supply shortages. Core retail sales excluding autos, gas, and building materials increased two-tenths of a percent and are up 6.1 percent over the past year. We’re in a muddle-through economy. It’s not the Reagan ’80s. But it’s also not the Carter ’70s. In China, where the data is just about as important to the U.S. as the U.S. data, May retail sales rose 16.9 percent year on year, or slightly less than the 17.1 percent registered in April. Meanwhile, industrial production in China rose 13.3 percent for the year ending in May, just a tad less than the 13.4 percent registered in April. These are solid numbers. They’re off their peaks. But it’s not a collapse. China’s going to keep on growing. There is no meltdown. And the Bank of China raised bank reserve requirements again, a response to the 5.3 percent CPI for May -- which is an inflation warning to both China and the United States. Ben Bernanke should quit yapping about a clean debt bill for more Treasury borrowing authority without serious spending reductions. No fiscal confidence will return unless measures are taken now to curb out-of-control spending and borrowing. People in the bond market are not stupid. For several months they have known that the debt-ceiling talks would be hardball negotiations and will go down to the wire. But 10-year Treasury yields have plunged from just under 4 percent to around 3 percent. The market knows there will be no default. A deal will be made. But it has to be a spending-control deal if anyone is to ever believe that the U.S. is serious about its financial plight. And for my money, any deal should include a pro-growth component, like a 15 percent business tax rate that also abolishes all deductions. MARKETS: IS THE CORRECTION OVER? US HOUSING WORSE THAN GREAT DEPRESSION? Do the economic numbers lie? Gary Shilling, president of A. Gary Shilling & Co. will join us with his perspective. -Ed Ponsi, managing director at Barchetta Capital will join us. WASHINGTON TO WALL STREET ... "RECKLESS ENDANGERMENT"
Authors of the new book -- Josh Rosner and Gretchen Morgenson -- will join us. Former Minnesota governor Tim Pawlenty turned out a blockbuster economic-growth plan this past week, including deep cuts in taxes, spending, and regulations. It’s really the first Reaganesque supply-side growth plan from any of the GOP presidential contenders. And he caps it all off with a defense of optimism as he charges ahead with a national economic growth goal of 5 percent. Pawlenty calls this target aspirational. Okay, fine. But deeper down, he’s basically saying no to the declinists and pessimists who seem to populate the economic landscape these days. Big government doesn’t work. Let’s try something different. Ronald Reagan always believed that America is exceptional. By removing obstacles to growth, the Gipper held that economic policies could unleash a massive outpouring of risk-taking, creativity, and entrepreneurship. He was right, and his policies launched a two-decade-long boom. Actually, the first couple years of the Reagan recovery came in at over 7 percent. And as Pawlenty noted in his speech at the University of Chicago this week, between 1983 and 1987, the Reagan recovery grew at 4.9 percent annually. I note that Pres. John F. Kennedy also had a 5 percent growth target, a response to Ike’s three recessions. So while those on the left criticize Pawlenty, and while even some conservatives scoff at his growth target, history says we’ve been there before. The Wall Street Journal editorial page calls it a “growth marker.” Famed CEO Jack Welch calls it a vision for America. I think it’s an act of great leadership. The details of Pawlenty’s economic program are very similar in scope and structure to Reagan’s. Slash tax rates. In particular, the single-best Pawlenty proposal is to take the business tax rate all the way down to 15 percent from 35 percent, get rid of all the deductions, and quit taxing foreign earnings of American companies. Critically, he would make small-business S-Corps or LLC partnerships eligible for the new low corporate rate. Small businesses and brand-new start-ups have faltered during the Obama years. They should be the engine of job growth, but it’s not happening. Under Pawlenty’s plan, however, their rewards for new pass-the-hat investments among friends and families would be lifted by more than 40 percent on a take-home-pay basis. The former college hockey player also would reform the personal tax system by moving to two rates of only 10 and 25 percent. And, get this: He would abolish taxes on capital gains, interest, dividends, and estates. He’d also sunset all economic regulations. And he’d apply a “Google test,” whereby if you can find a federal government good or service on the Internet, the federal government doesn’t need to run it. That means the Post Office, the Government Printing Office, and Amtrak could be sold off, privatized, or leased out. The governor also comes out for a strong King Dollar, with a blistering attack on the Bernanke Fed’s loose-money policies. He also offers up an outline for entitlement reform, along with a 5 percent budget-impoundment approach until such time as the budget is balanced. Quintessentially, Tim Pawlenty has delivered a private-sector, free-enterprise vision of economic growth and jobs, saying: “Markets work. Barack Obama’s central planning doesn’t.” It’s in this spirit that he would repeal Obamacare, which is one of the greatest job-blockers of all right now, with its maze of tax-and-regulatory interventions into the private economy. But let me return to the key point — Pawlenty’s 5 percent growth vision for America. He’s not going to accept some kind of “new normal,” 2 percent growth rate. Smaller government, lower tax rates, fewer economic regulations, and sound money were tried down through the 20th century by Calvin Coolidge, John F. Kennedy, and Ronald Reagan. These policies worked. Over the past decade, however, the historic postwar U.S.-growth baseline of 3.4 percent per year has been dismantled. Through 2010, actual growth is nearly 20 percent — or close to $3 trillion — below the historical norm. Pawlenty is saying we have to do our best to close that humungous output and jobs gap. He also notes that by reigniting growth and a stronger jobs market that demand for government-spending assistance will come down while tax revenues will go up. In other words, we’ll never solve the spending-and-borrowing problem without a major increase in growth. Is he serious? Of course he is. And he’s pretty darned specific. Remember, this is a guy who said no to ethanol subsidies in Iowa, yes to extending the Social Security retirement age in Florida, and no to crony capitalism for Wall Street banks in New York. In other words, Tim Pawlenty is a tough hombre. If he stays on message unrelentingly, his growth plan could carry him right to the White House. MARKETS: COMING INTO A BOTTOM? 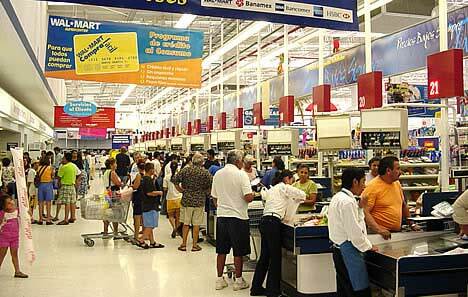 WITH ECONOMY SPUTTERING, WILL SPENDING CUTS HURT MORE OR HELP? - William Cohan, Journalist; "House of Cards"; Author of "Money and Power: How Goldman Sachs Came to Rule the World"
MARKETS: IS THE CORRECTION'S END NEAR? A GLIMMER OF HOPE IN HOUSING? HILLARY CLINTON THE NEXT HEAD OF THE WORLD BANK? WHAT IF & WHEN THE CHINA BUBBLE BURSTS? OPTIMISM ON THE JOBS FRONT? 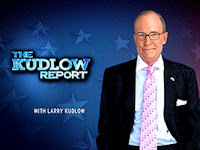 - Terry Jeffrey, CNSNews.com editor; Author "Control Freaks"
KUDLOW: All right, topic A tonight, it’s the economy, stupid, and that’s going to decide the fate of the 2012 presidential race. Today in a speech at the University of Chicago, former Minnesota Governor Tim Pawlenty unveiled a blockbuster growth plan that cuts taxes, spending and regulations. 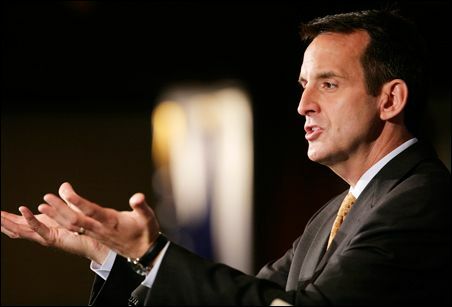 Joining us now for a first on CNBC interview is former Minnesota Republican Governor Tim Pawlenty. 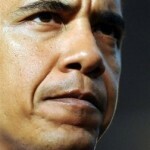 OBAMA: I’m not concerned about a double-dip recession. I am concerned about the fact that the recovery that we’re on is not producing jobs as quickly as I want it to happen. Prior to this month, we have seen three months of very robust job growth in the private sector and so we were very encouraged by that. This month you still saw job growth in the private sector but it had slowed down. We don’t yet know whether this is a one month episode or a longer trend. Obviously we’re experiencing some head winds. KUDLOW: All right, there’s a real mouthful. 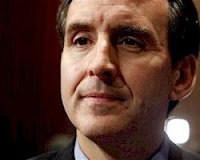 Governor Pawlenty, do you see a double-dip recession? Do you agree with what President Obama just sort of basically said? PAWLENTY: Well, the economy’s sputtering. And, you know, he declared last year in his administration the recovery summer, Larry, you remember that? How was your recovery summer? PAWLENTY: Yeah? Did you use sunscreen? Did you use the appropriate SPF during the recovery? KUDLOW: But you–I take it you don’t see a double-dip recession. Is that your basic view? PAWLENTY: Well, I’m concerned about the near term and intermediate term outlook for the economy. I think they’ve done a number of things that set us up, if not for a double dip at least a lot more bumps in the road. This is not over yet in terms of the challenges the country faces. We have to throw off the shackles of Obama’s declinist attitude and policies and get back on a pro-growth, positive, optimistic agenda. That’s what we did today at the University of Chicago. And, Larry, the marquee part of it is to say, look, we’re going to set a goal of 5 percent for growth in this country. We’re not going to accept the CBO, you know, 2 percent, anemic outlook for the country. We’re going to double that and more, and we’re going to talk about the specific policies to unleash the American entrepreneurial spirit. KUDLOW: Well, I think the 5 percent growth goal is terrific stuff, but I want to ask you about another major figure who doesn’t see 5 percent growth. That being Ben Bernanke, who also gave a big speech today, Governor. Bernanke says the economic sputter is temporary, but he’s not worried about the dollar and he is going to keep Fed policy at a zero interest rate for as far as the eye can see. Let me ask you, sir, A, do you agree with Bernanke’s assessment that the sputter is temporary? And, B, would a President Pawlenty reappoint Ben Bernanke? PAWLENTY: Well, as to the last point, Larry, I opposed his appointment last time, so it wouldn’t be hard for me to oppose his reappointment next time. And I would–don’t think that he should continue in that position. A strong dollar reflects a strong country and a strong economy, and we need to make sure that we get the–stop the practice of devaluing the dollar. Americans get paid in dollars. They buy groceries in dollars. Their 401(k)s are in dollars. And when you devalue the dollar, you’re devaluing the net value of this country and it’s a hidden tax on all Americans, and it’s going to get worse. They have flooded the money–excuse me, flooded the market with these dollars that they’re printing in the basement, as you know, and it’s devaluing the dollar. They don’t have a strong dollar policy. And it makes me wonder, Larry, if they’re even doing it intentionally. I wonder if part of their plan isn’t to purposely try to inflate their way out of this deficit. I hope that’s not true, but we have to return to a strong dollar policy. KUDLOW: All right, a strong dollar. Let’s turn to your better deal speech today. First of all, 5 percent economic growth, a laudable, notable target. Is it credible, sir? Can the United States get a 5 percent growth rate? PAWLENTY: Of course, and it has. And we got two examples in recent history from this country. One in the ’80s under President Reagan. One under President Clinton and the Democratic controlled Congress in the ’90s. We had nearly 5 percent growth rate in each of those decades. We can do it again for sure. KUDLOW: All right. You’ve got what I would call a blockbuster tax cutting growth plan. I want you to walk through it briefly, if you will. First on the business side you’ve got a thorough going reform. PAWLENTY: Yeah. It’s–a 35 percent rate at the corporate level now would be taken down to 15 percent, and then we’d clean out most of the crony capitalism in the form of the deductions, credits and exemptions and underlie that with just one or two exceptions, Larry. And then on the individual side, only two rates. Take the six current rates but collapse them down to two, 10 percent and 25 percent. The 25 percent rate would kick in at $100,000 of income. We’d keep the exemptions, deductions and credits under that. And small business owners in the pass-through entities, the LLCs, the Subchapter S and the like, they could choose which system they want to be in. They’d have a choice to toggle back and forth. PAWLENTY: Yeah, that’s correct. And that’s another huge part of the tax cuts, as well. KUDLOW: All right. Let me go to the spending. You got a 5 percent spending impoundment for year, but it looks a little thin. There’s not a lot of detail in the spending side. By the way, Ben Bernanke told you today–I don’t know if he was addressing you personally–but he said this is not the right time to cut spending because it might upset the economy. There he goes again, you vs. Ben Bernanke. Now, first, is this the right time to cut spending? And second, what about your spending plan? Do we need more details there? PAWLENTY: Well, the best time to cut spending would have been in the past and now we–is we have to do it, Larry. Should have done it before now. And, of course, we have to cut spending. We’re–the thing is out of control. They’re spending 40 cents of every dollar they spend is a deficit or debt dollar or so. So let’s do this, let’s be specific, let’s put no sacred cows to the side. Let’s put them put them up on the table. We got to reform the entitlement program, so we’ve got a specific set of proposals on Social Security, including gradually raising the retirement age for new people into the work force. Means testing part of Social Security. So if you’re wealthy, you won’t get your COLA in the future. We’ve got similar proposals for Medicaid and Medicare. I went to Iowa, told the truth to people there and said we can’t afford the ethanol subsidies and we also should get rid of all the other subsidies. I went to Wall Street and told them to get their snout out of the trough. We’re not going to do any more bailouts or carveouts or handouts there. We had a similar message for the public employees and the public employee unions and then down the list. But this is going to be the Jack Nicholson election from the movie “A Few Good Men.” He said famously when he was on the witness stand, “You can’t handle the truth.” Well, this is a going to be a referendum on whether the American people can handle the truth. PAWLENTY: And we’re going to tell it to them and they can handle it. 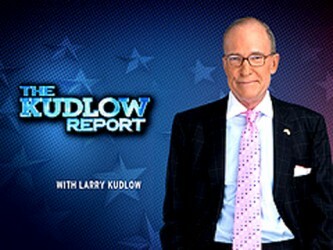 KUDLOW: All right. But your critics are already out there today saying your broad-based tax cuts are going to blow up the budget deficit, and you don’t have the spending cuts to go along with that. What’s your reaction to that? You know how they’re going to hammer you. In fact, some Republicans are already expressing skepticism about your plan, much less the Democratic National Committee. What’s your response to that? PAWLENTY: Well, my response to it is our plan, over a 10 year period, not only balances the budget but can leave you in the black. And if you had–reduced the federal spending by even 1 percent a year from today’s level over the next six years, you balance the budget in six years. But you add to that our tax cuts and the growth model and the spending cuts and the net of it, dynamically scored over the next 10 years, is the budget’s balanced and it leaves a surplus. KUDLOW: So you’re saying growth is essentially to spending and deficit and borrowing restraint? Is that your message? PAWLENTY: Well, growth is essential, first of all, to a successful country and opportunity for our citizens, but you can’t get to where we need to be without dramatically increasing growth. And President Obama’s policies don’t get it done. He doesn’t even have a plan. He won’t even address this= issues. I have a plan, we put it on the table and we got more to come in the coming months. KUDLOW: What do you–where are you on the Paul Ryan Medicare plan? PAWLENTY: Well, we’re going to have our own plan, Larry, and it’s going go be coming out shortly. It’s going to have some of the similar features, but it’s going to have its own features. We’re going to start paying for performance. So providers, hospitals, doctors and clinics won’t get paid just for volume. They’ll get paid for better results and better outcomes, and then we’ll leave Medicare as a choice, but it’ll be a choice that’ll be competing against a number of other choices, as well. KUDLOW: Where are you on Mitt Romney’s stubborn adherence to government mandates for individuals and businesses in the state of Massachusetts, presumably any other states? What’s your take on Romneycare? PAWLENTY: I’m one of the parties in the Florida lawsuit to have the individual mandate declared unconstitutional. It’s an issue that was presented to me formally several times when I was governor. I rejected it every time. And we took a different approach in Minnesota. We want market-based, consumer-based reforms in health care. We want to give people incentives to make wise choices in a marketplace, not centralized choices and have government mandates and takeovers. KUDLOW: What’s your Google test? You’ve got this very interesting part about the Google test and you want to sell off a bunch of assets. Can you quickly tell us about the Google test in the Pawlenty plan? PAWLENTY: Sure. The premise it, look, if you can go on Google and find a service or a product that’s available in the private sector, then government probably shouldn’t be producing or providing the product. Now obviously you have to apply a common sense and responsible lawyer of review on this. But, you know, do we–when you’ve got FedEx, how much longer do you need the post office, at least as a government entity? Do we really need all of Amtrak to be public? No, you don’t. I think the private entities could operate that. I don’t think you need the government printing offices and on down the list. But there are series of services that the government provides that I think you can have them compete or outsource it to the private sector. KUDLOW: Do you really–you really want to sell off the “snail mail” post office? That’s in your speech. Do you really want to privatize the post office? PAWLENTY: Yeah. I think that would be a great idea. And I also think privatizing Fannie and Freddie would be a great idea. They’re the culprits–one of the main culprits to the housing collapse and our economic crisis, and they got off scot-free in the abysmal Dodd-Frank reform. KUDLOW: So if you sell off, all right, Fannie, Freddie, the government printing offices, you sell off Amtrak, you sell off the post office–I don’t think anybody else is talking about this–how much money would you raise? How much money would that go towards debt reduction, let’s say? PAWLENTY: Well, there’d be some. Look, the truth of the matter is, Larry, if you want to look where the big money is for debt reduction in the future, it’s in entitlements, as you know, and it’s in defense spending. So you can add up all the Department of Agriculture, Amtrak, the post office, Department of Commerce, and will it help at the margins? Yes. But is it going to fundamentally solve the problem? No. The only way to do that is to reform entitlement spending. KUDLOW: But you talk about a 5 percent budget impoundment as your spending plan. And as I said it, I understand about ethanol and so forth, but it isn’t all that specific. Are you talking about across the board, 5 percent spending cuts, including entitlements and defense? Is that your spending plan? PAWLENTY: The proposal on that is as a last resort. We have a number of things that would precede that. First of all, pass a balanced budget amendment. Two, put specific spending caps into law as a percentage of GDP around the historic average of around 18 percent. And then, three, we can’t count on Congress doing what you and I have been talking about, so we have to have a fail-safe, last-resort measure. And what we’ve proposed is to give the president the emergency and temporary authority to impound up to 5 percent of any and all spending to his or her choosing until such time that the budget is balanced. Now I had a power like that when I was governor of Minnesota. It was called unallotment, and I used it. I unallotted more spending in my state in my eight years than all the previous governors combined in their 142 years combined. KUDLOW: All right. So with this big speech, you’re basically taking a Reagan supply side economic growth approach to fiscal policy and the economy. Governor Romney is also laserlike on the economy in his announcement last week. He says because he was a successful businessman, he’s the most qualified Republican candidate to resurrect jobs and economic growth. You have a resume as a successful politician but not as a businessman. What’s your reaction to Governor Romney who says only a business guy can solve our problems and get us back to prosperity? PAWLENTY: …there’s some good things and then there’s also some bad things. So we all got to account for our records. BERNANKE GLUM ON GROWTH: WHERE'S THE CONFIDENCE? Here's the latest from my friend and frequent Kudlow Report guest Dan Mitchell. Even though it violates existing law, the IRS is seeking to impose a regulation that will discourage foreign investment in the U.S. economy and undermine the competitiveness of American banks. This CF&P Foundation video provides five reasons why this proposal is misguided, including the risk to innocent people living under corrupt and tyrannical governments. TWITTER TEARS: WEINER FINALLY COMES CLEAN. SHOULD HE STEP DOWN? -CNBC senior economics reporter Steve Liesman reports. HOW DO YOU PAY FOR NEW MEDICAL BREAKTHROUGHS WITH NEW HEALTHCARE BILL? ECONOMY IS SPUTTERING. ARE PROFITS AND STOCKS NEXT? Political advantage can be fleeting. A couple of months ago, during the winter quarter, job gains looked to be picking up, unemployment was easing lower, and President Obama’s reelection hopes looked more secure. But things sure have changed. In recent weeks, a whole bunch of new economic stats have been pointing to a sputtering economy — maybe even an inflation-prone, less-than-2-percent-growth recession. Stocks have dropped five straight weeks, as they look toward slower growth, jobs, and profits out to year end. And Friday’s jobs report didn’t buck these trends. “Anemic” is the adjective being tossed around the media. According to the Labor Department, nonfarm payrolls increased a meager 54,000 in May, while private payrolls gained only 83,000. A week or two ago, Wall Street expected 200,000-plus new jobs. Didn’t happen. Suddenly President Obama has gone from reelect to big trouble. The economic rug has been pulled out from underneath him. So what changed in the last couple of months or so? Answer: A nasty oil-, gasoline-, and commodity-price shock. It’s eating away at economic growth and jobs. It’s stalling the economy. And it has cut into consumer real incomes and business profits. That said, in a larger sense, the failure to ignite small-business job creation has to be laid at the doorstep of the Obama administration, and the economic policies that threaten higher taxes and regulations virtually across the board. On Thursday this week, the president again promised House Democrats to raise taxes on successful top small-business owners. What a great new idea. What you want is for people to take their suit jackets off, roll up their shirt sleeves, and go out there and build. But people are hunkering down, not building. 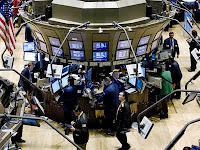 With a flamboyant downgrade of the outlook for economic growth, jobs, and profits, Wednesday’s 280 point Dow plunge to launch the so-called June stock swoon is a warning shot across the bow. The Dow tanked alongside a batch of dismal economic data. The ISM manufacturing index, ADP employment, Case-Shiller home prices, and consumer confidence are all pointing to 2 percent growth or less, rather than the kind of 5 percent growth we ought to be getting coming out of a deep recession. The economy now looks like a Government Motors engine that’s stalling out. Or perhaps, with energy and food inflation, and housing deflation at the same time, the economy is acting like a pinball machine on permanent tilt. There’s a key message here: Big-government stimulus never works. First there was the massive Obama stimulus spending. Then QE1. And now QE2 is winding down. And what did we get for all this? Slower growth overall, paltry job creation, more energy and commodities inflation, continued housing deflation, and virtually no new business start-up entrepreneurship. We know the Obama spending package failed to create a 7 to 8 percent unemployment rate, as advertised. And now we’re learning that the Fed’s QE2 has actually done more harm than good. All that money-printing stimulus worked to depreciate the dollar and jack-up commodity prices, especially oil and gasoline, but also food. So both companies and consumers have been punished. Some demand-side boneheads on Wall Street want the Fed to move to QE3, allegedly to fight a stalling economy. But if the central bank prints another $600 billion or so, all that will do is sink the greenback another 10 percent and drive oil and gasoline prices higher and higher. And that, in turn, will slow business and consumers even more. The Japanese disaster is undoubtedly playing a role in the manufacturing slump -- probably a bigger role than most economists predicted. Production supplies are scarce or non-existent, especially for autos and electronics, but also for many other sectors of the economy. Then, of course, there’s all the bad weather: Hurricanes, tornadoes, and floods have depressed all kinds of economic activity here at home. There also are jitters about the ongoing saga in Greece. The potential for a Greek bond default and various credit-agency downgrades are taking a toll on stock markets around the world. But this whole boom-and-bust monetary policy, with its blatant disregard for King Dollar, is a snare and a delusion. Stabilize the greenback by linking it to gold. Then move to the supply-side: Slash individual and business tax burdens, roll back enormous regulatory costs, and stop the merciless threat of higher future taxes. If there was a serious pro-growth movement in Washington to accelerate tax-reform overhaul and pin-back regulatory barriers like the NLRB war with Boeing, the EPA war against energy, and the Obamacare threats that are too numerous to count, that just might revive the animal spirits. But what we know for sure is that small businesses are barely hiring today, and that brand new startups are few and far between. What’s lacking here is confidence. No, we’re not going into a double-dip recession. The most important indicator is the Treasury yield curve, which is still very steeply sloped. And businesses are profitable. Those profits have been the backbone of what little growth we’ve had in the last two years. And they’re the mother’s milk of the stock market. But the point is, without real growth policies, there’s not much to cheer about in the market or the economy. We’re muddling along. It could even be called a growth recession. Wednesday’s 280-point Dow drop is cry for help. Is anybody listening? IS QE3 SET TO SAIL? ALL THINGS D (DIGITAL) CONFERENCE…WHERE'S THE INNOVATION? DID GOOGLE SCREW UP BY NOT GETTING INTO SOCIAL MEDIA IN TIME? FORD/GM SALES DECLINE; TOYOTA TROUBLES -- WHAT'S DRIVING AUTO NUMBERS? PLUS: GEITHNER HAILS THE AUTO BAILOUT - WAS IT WORTH TAXPAYERS' MONEY?